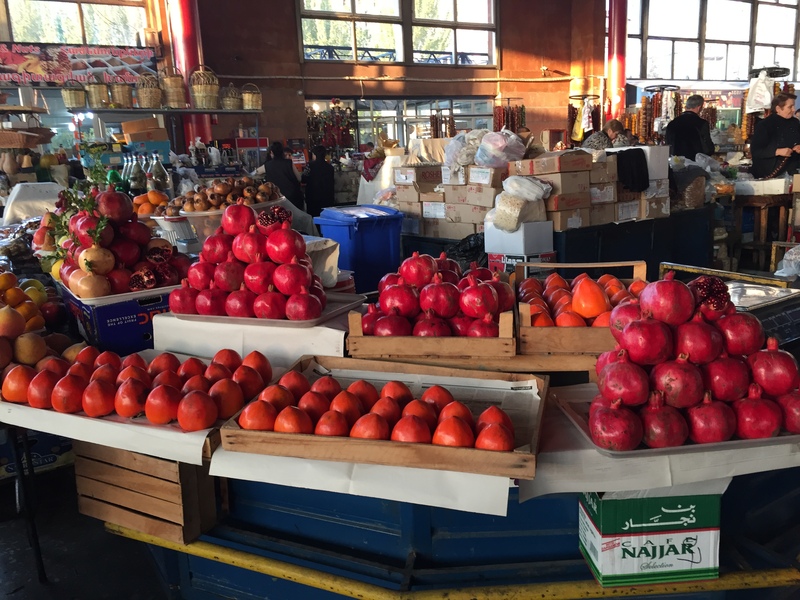 “Gumi Shukah,” or GUM Market is an indoor marketplace in Yerevan where vendors sell fresh fruit, vegetables, spices, nuts and coffee beans. 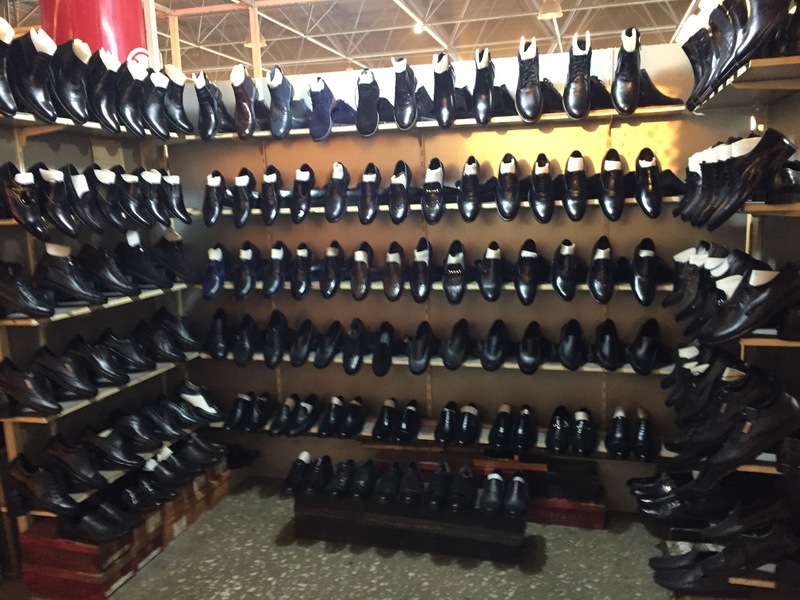 The large warehouse also houses booths that sell clothing, shoes and household products. On the way to the market, a kilometer away from Republic Square, Norayr, a taxi driver, explains that police officers no longer stop drivers without reason to collect bribes. He says the country has changed in the months since the Velvet Revolution which he attributes to Nikol Pashinyan, the opposition leader turned prime minister who led the movement. 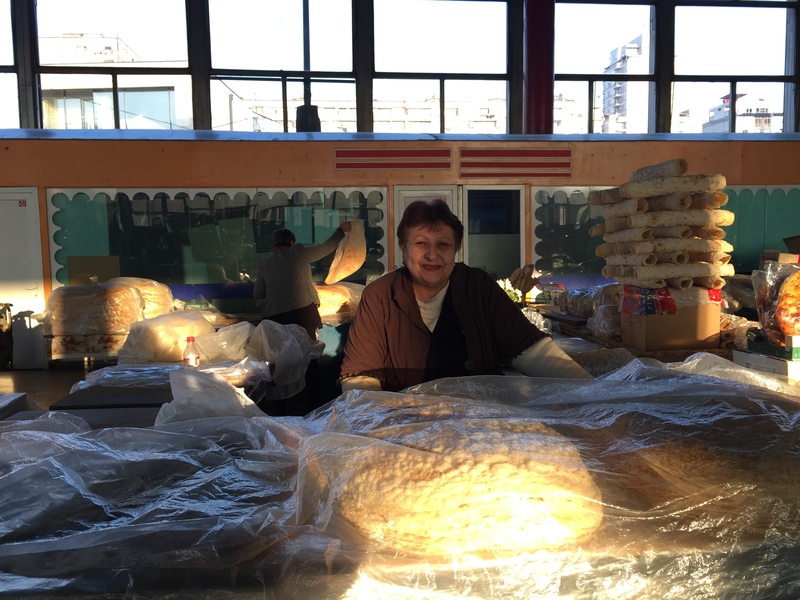 “We grew up here in this market. Things were bad for a long time but we have big hopes now with Pashinyan,” says Garineh. 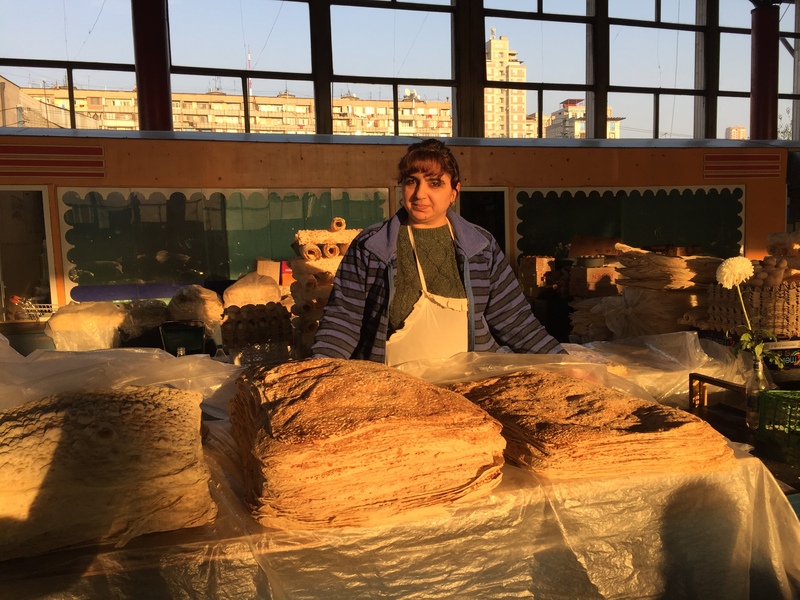 Naneh has been making lavash at the market for 23 years and she says the quality of the flour has diminished. 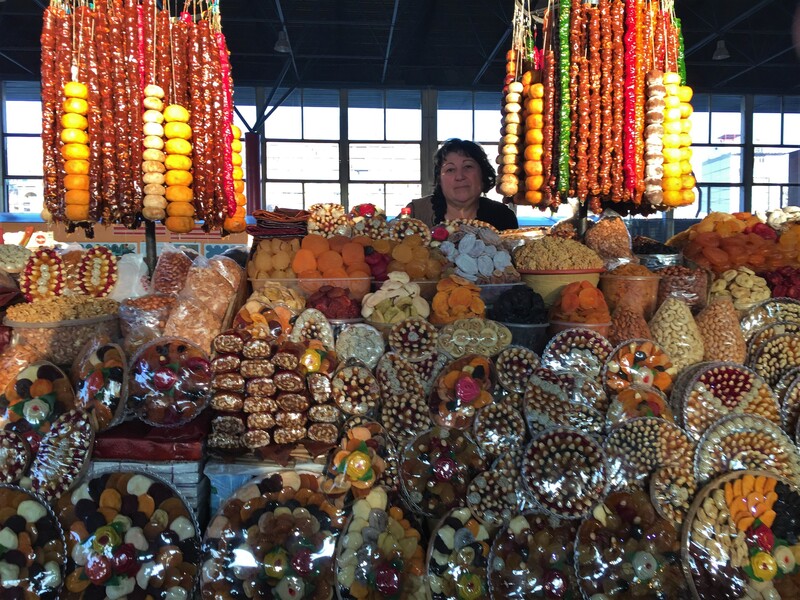 Nvart makes approximately $20 a day selling fruit at the market. 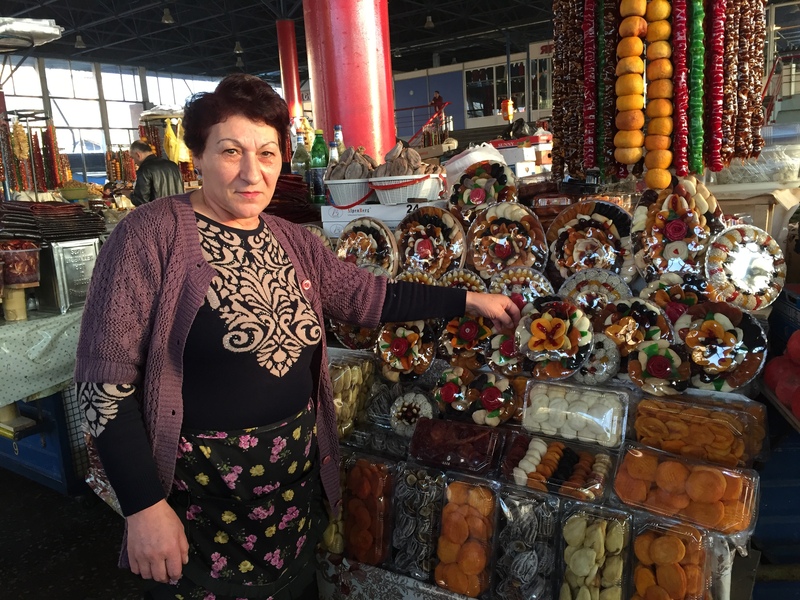 She says the vendors are now competing with supermarkets that are on every corner. 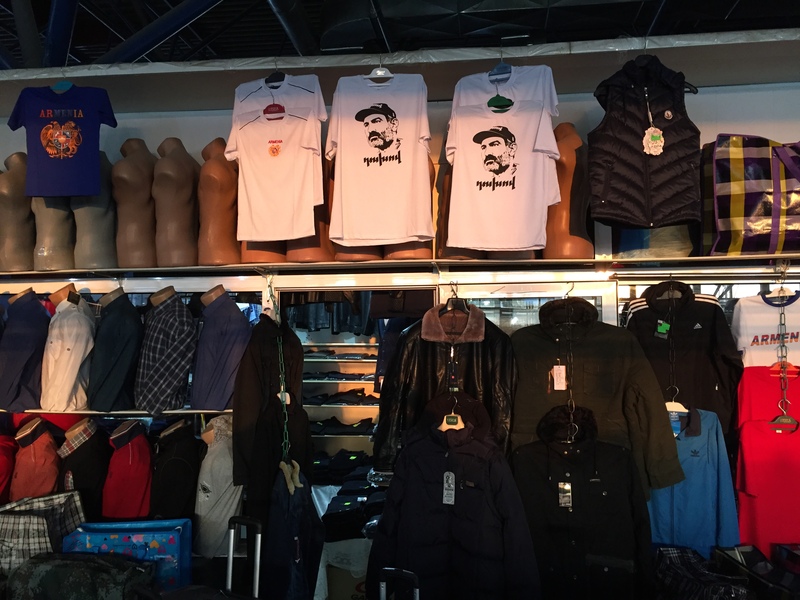 Ageen, who sells clothes, says that while attitudes have become more positive since the revolution, the economy hasn’t changed. 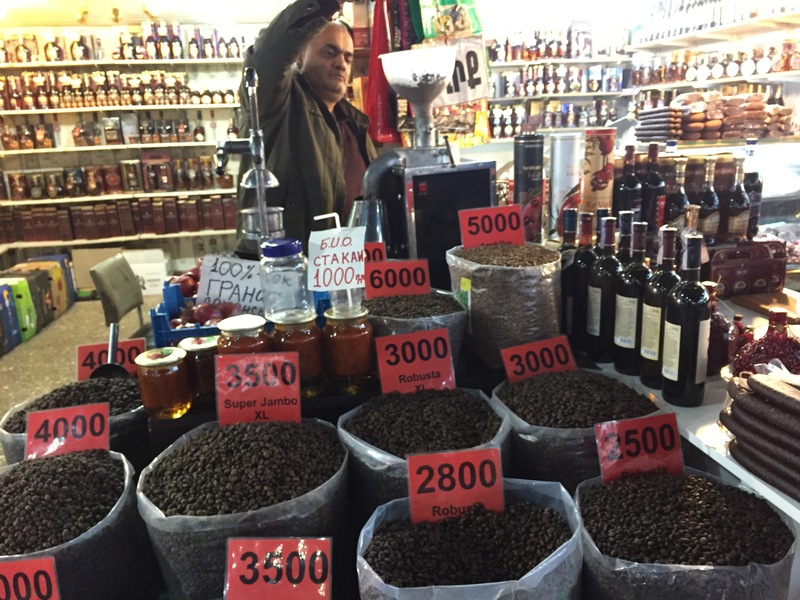 While grinding coffee beans, Marar says that the economy has gotten worse because people are spending less money. All shoes pictured are made in Armenia! 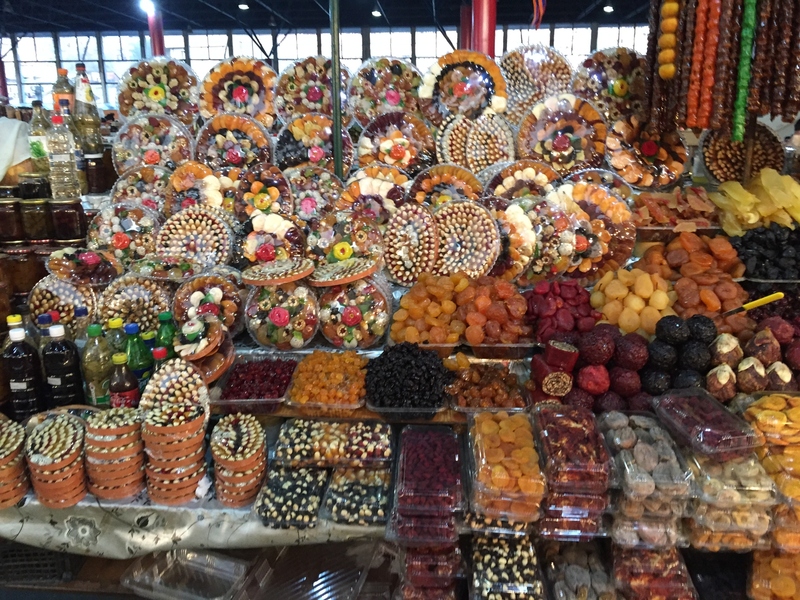 Vendors sell dried fruits and nuts. 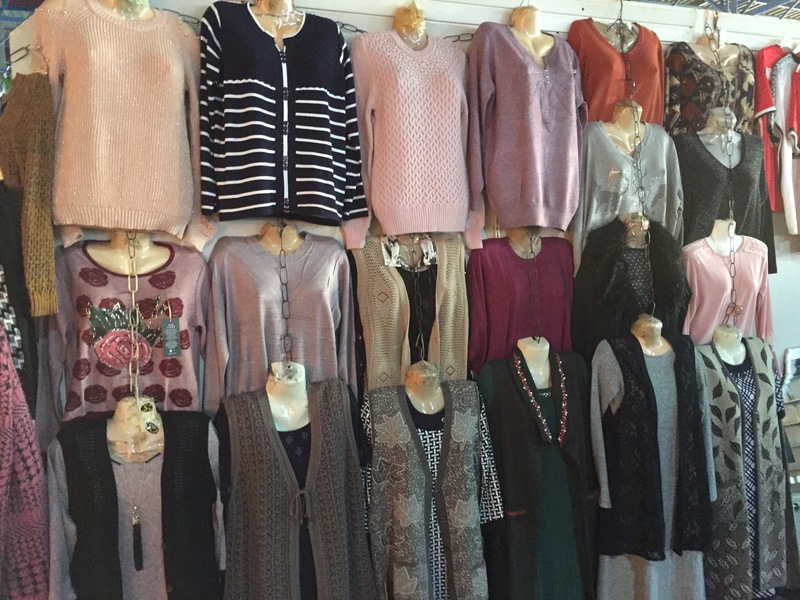 They look forward to the new year to increase sales.